Cebek I-80 module is an PIR movement detector with relay output. It recognise movement of people or animals which pass through the detection area. 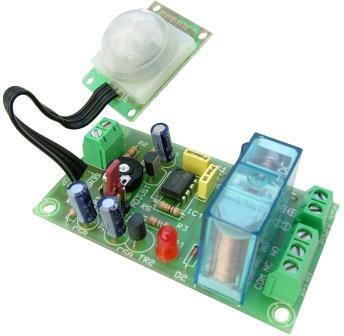 The relay can be configured in two ways, as a momentary output or timed output adjustable between 1 and 5 minutes It includes PIR sensor and indicator LED.